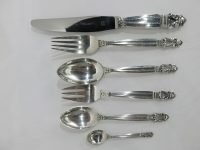 A complete sterling silver dinner service for 12 people in the popular Acorn pattern by Georg Jensen. 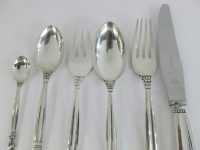 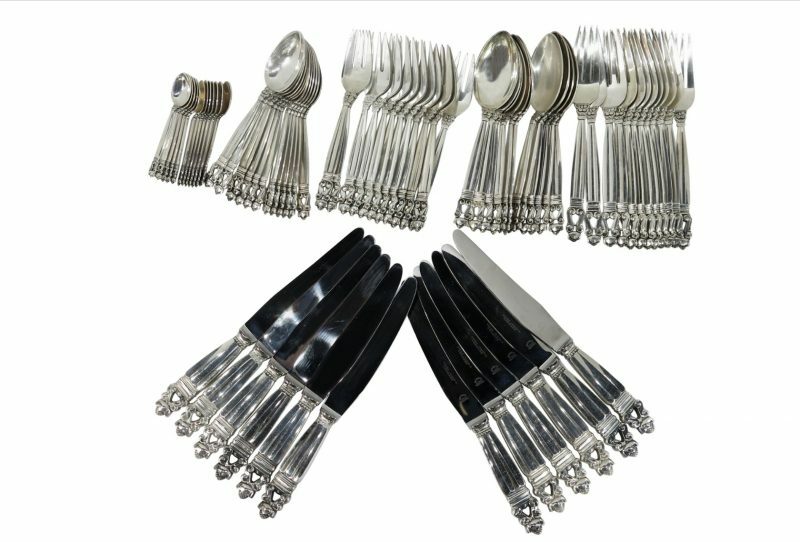 12 dinner knives 9" 12 dinner forks 7.5" 12 soup spoons 6.75" 12 salad or fish forks 6.5" 12 tea spoons 6 1/8" 12 demitasse spoons 3.75" The entire set is sterling silver, apart from the stainless blades on the knives. 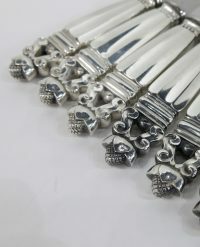 All pieces are fully and correctly hallmarked. 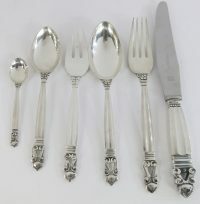 We also have a huge selection of extra place and serving pieces in the Acorn pattern to add to this set.